yesterday, and a bit of dirt… | i made it so. yesterday was a happy day for this little blog. i wrote about a book i had just read, and the author came by and left a comment. how nice is that? in case you missed it, take a peek here. remember this little bit of dirt? a 4′ x 4′ space. a little haphazard, and the parsley and basil didn’t make it. but the rest did. it gives me this every few days. i will be sharing this with jami and her readers at an oregon cottage. 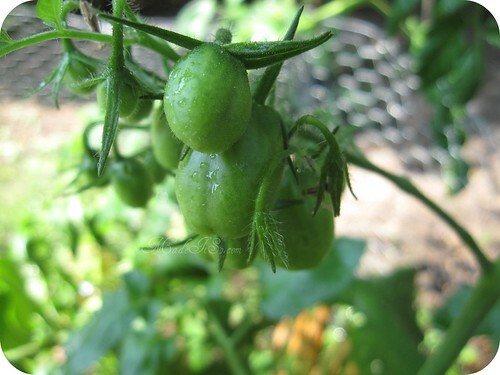 This entry was posted in books, green thumb and tagged beginner veggie garden, cucumbers, harvest, lettuce, onions, tomatoes. Bookmark the permalink. Very generous for such a tiny little thing. Sorry about your herbs. Your garden looks fabulous!! I had to replant my basil and parsley this year – like yours, the first time around didn’t take. If you can get a salad every couple of days out of your garden that’s pretty great. Bon Appetit! I love your garden plan! I’ve found that dealing with both plants and animals, things never go the way we expect them to. :) Your produce looks great, I can’t wait to have my own garden one day! 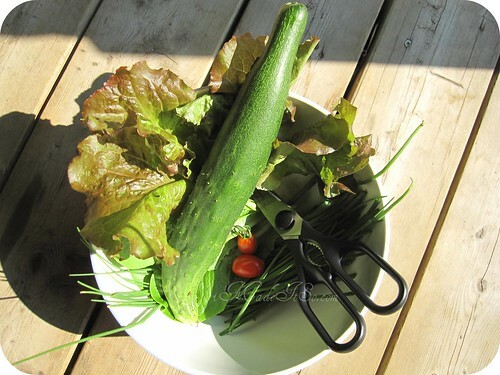 Your pocket garden is very prolific–well done! I am looking forward to cucumbers, but don’t have any from my teeny plants yet. Hey.. at least you have a few pieces of veggies.. I can’t get anything to grow.. really! My hot and humid (yes the trees weep with so much water) weather just kills everything before it’s had a chance.. the afternoon tropical down pours wash everything away… this is the 6th year I’ve tried and now i’m done! To the farmers market I go! I do have herbs in pots on the deck.. but I have to put snail bait in them.. we have so many bugs here.. ug! I think your planning paid off, as you have a nice garden. It was really wet and then got really hot in my neck of the woods so it’s been a wierd growing season. Looks like you could have a nice salad with your harvest. thanks everyone. depending on how much lettuce is available, there’s often enough for a salad every few days, which is amazing. i’ve never had lettuce so soft and sweet! at the very least, there’s enough for sandwich toppings every day. Great garden! Isn’t it satisfying to reap the rewards? Enjoy your yummies! That is a great harvest already from your little plot of land … I’m sure there will be more to come … mother nature is amazing! 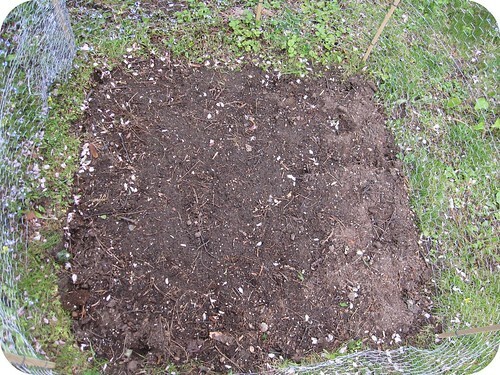 Every year I say I am going to start a garden….still no garden! Lol. Great job! Have a fantastic day! Awesome little garden you have there! Thanks for joining us for FMIC again! Have a fantastic day! Your garden is very generous! 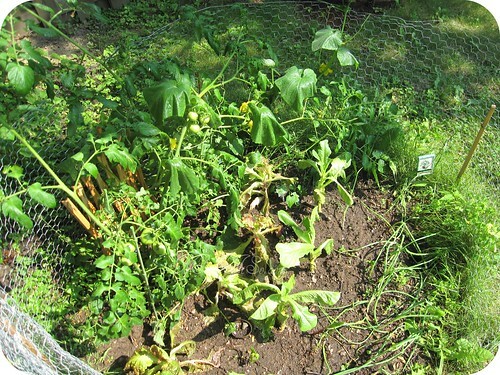 Mine only gave me 1 cucumber before the plants were killed by the cucumber beetle. I agree, this is how garden addiction starts. I have so many plans for the yard already after this first year:) Good Luck! This looks soooooo familiar! But hey: I’m having an enormous and réally generous vegetable garden now (thanks to my dad). Very wise that you started small. I bet it all tasted way better than the stuff you buy at the supermarket! What a great example of what a small patch of earth can produce! Thanks for sharing at the Tuesday Garden Party! Pingback: recipe: cool as a cucumber (a few recipes in one) | i made it so. Pingback: final harvest | i made it so. 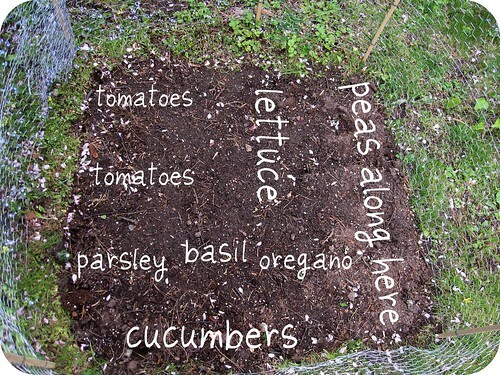 Pingback: small veggie garden, v. 2.0 | i made it so. I love gardening! my MIL has a farm and we grow lots of stuuf. So much fun,getting all your fingers dirty, and then enjoying the harvest of fresh organice vegetables!